Are you ready to revolutionize your e-commerce store? 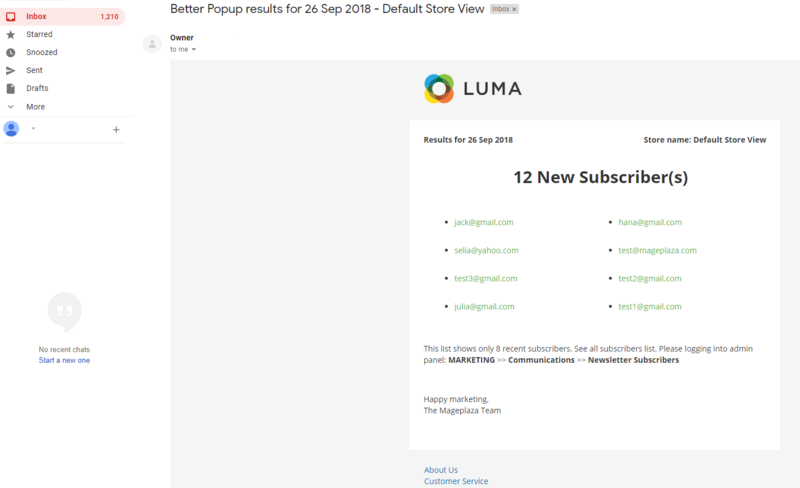 It’s easier than ever to turn your customers into potential customers thanks to an advanced extension from Mageplaza - Better Popup. 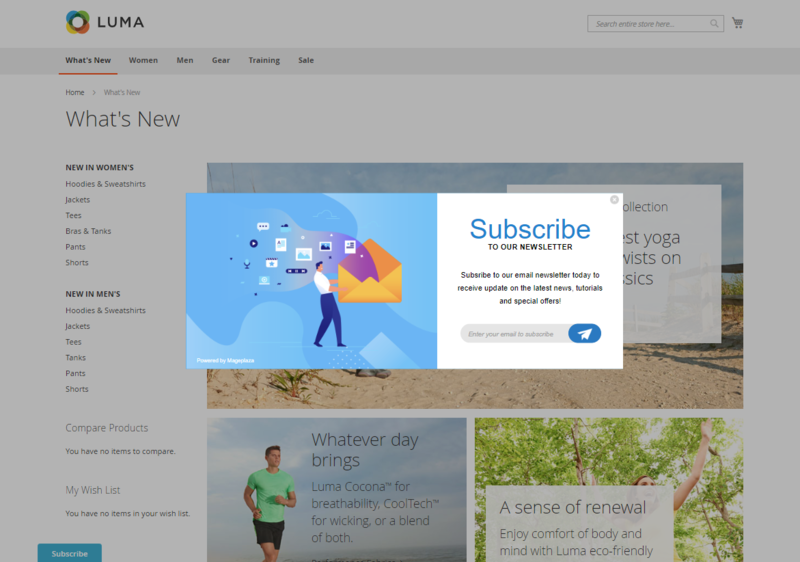 Better Popup is released to retain visitors when they leave the website and then, turn them into subscribers or customers on your website. In addition, it also helps to increase the number of customers, increase the number of sign-ups as well as help SEO your site effectively. Support HTML content. 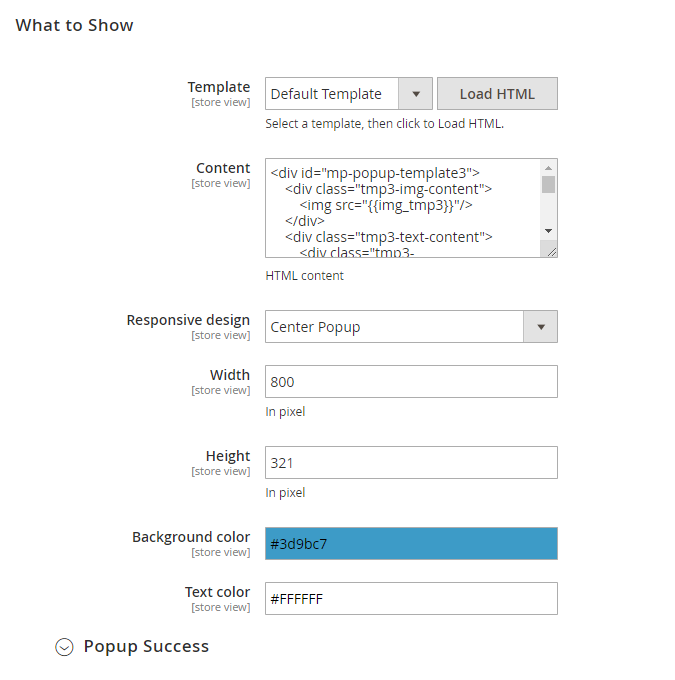 Admins can design the popup displaying on their website. The coupon code will display after visitors sign up successfully, and this coupon code will be used when purchasing the products. 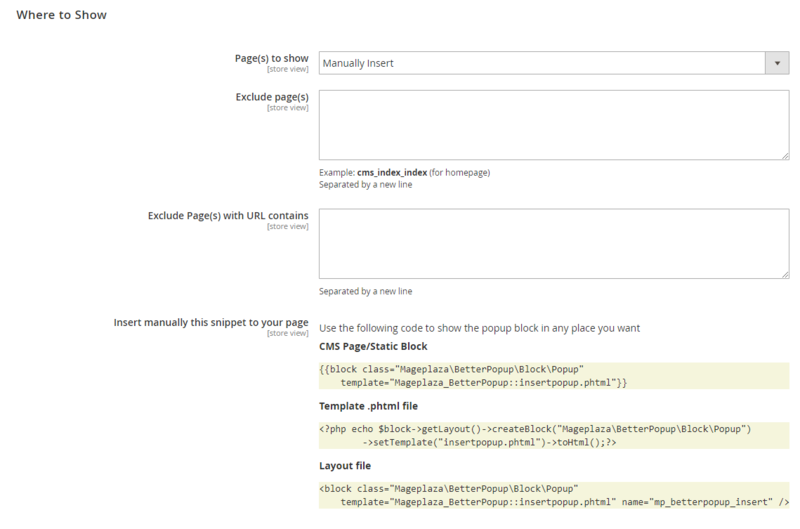 After choosing the template to display as well as clicking on Load HTML, the selected template’s code will display in the content of this section. Support HTML content. 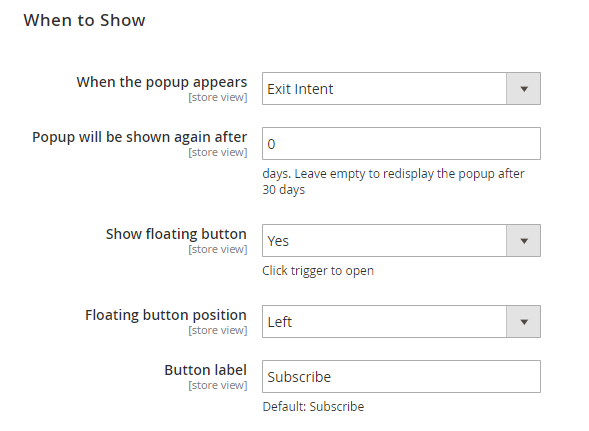 Admins can design the popup display on their website. 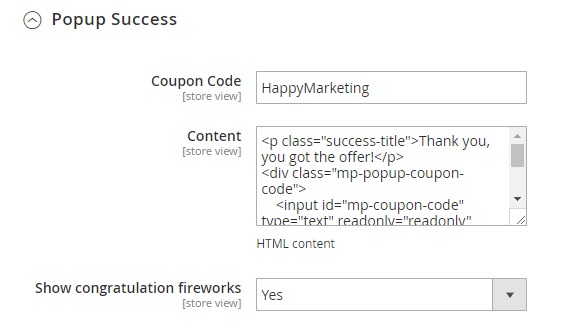 Choose Yes to display fireworks when visitors register the email successfully. 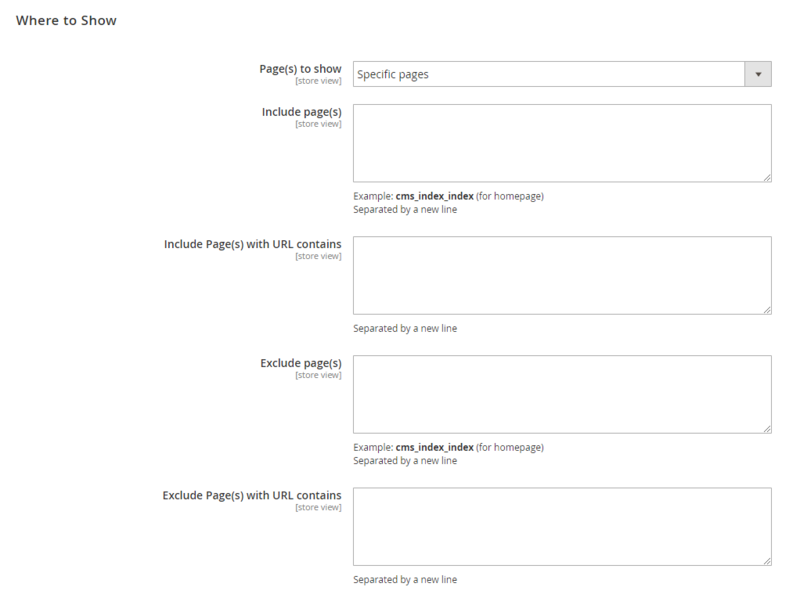 Page(s) to show = All Pages: This means that it will display the popup on all pages. 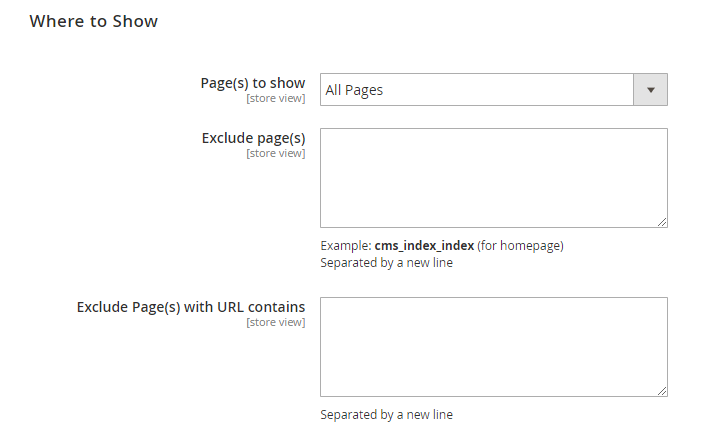 Page(s) to show = Manually Insert: Show the popup on the pages that are inserted the code at the Manually Insert. When you enter in this field: /gear/bags, /women/tops-women/jackets-women, the popup will display on the pages containing the URL above. Note: The priority of Exclude section is greater than the Include section. 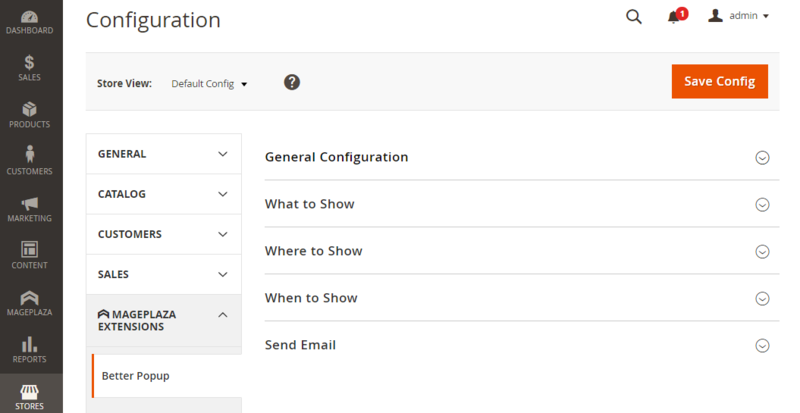 If you choose this configuration and select to show Show Float Button, the popup will display after loading the page x seconds and then, this button will also display. When you click on “Send Now”, an email notification will be sent immediately. If the website has multiple stores, it will send email reports for each email separately. For example, your website has 3 stores, it will send 3 emails for each store.